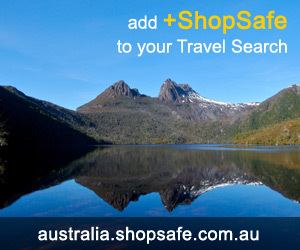 There are 14 shops in the ShopSafe USA Gifts for Mom Shopping Category. Moms of all ages will enjoy these very impressive gifts from Gift Tree. Gorgeous flowers, Pamper Hampers and a divine selection of gourmet food hampers that include indulgent puddings, dreamy chocolate sauces, decadent cookies, chocolates and more - much more. An Alladin's cave of gorgeous gift ideas for Mom - Red Envelope has a fabulous selection of gifts, from vintage inspired and traditional gifts to contemporary designs and the delightfully unexpected. French hand-made chocolates in beautiful keepsake mahogany gift boxes. Each box is filled with fine chocolate truffles made by world-champion French chocolatiers. Each chocolate is its own little masterpiece with one flavor never overpowering another - simply superb! Simply superb - This site has a delicious selection of gifts ready to deliver. If you are looking for a very special gift for Mom you'll find it right here. NOVICA in association with National Geographic bring artworks from Artists around the globe. They have an amazing collection of paintings, ceramics, tapestries, jewelry, leather goods, sculptures, collectibles and more. Flowers are always a winning gift whatever the occasion. Just Flowers have amazing arrangements that will delight and captivate. You'll find all her favorite blooms - Roses and Lillies, Gerberas and more plus mixed bunches and beautiful bouquets of native beauties that will last for weeks. SpaFinder Gift Certificates are the perfect gift for any occasion. Accepted at over 5,000 spas around the globe, they can be used for any spa treatment of your Moms choice such as relaxing massages, luxurious facials, fine beauty products, and more. One of our most popular stores - Eddie Bauer has a collection of classic fashion styles for all ages. If you`re not sure of sizing, Gift Cards and E-Gift Cards are available for any amount from $10 to $500 and can be redeemed in Eddie Bauer stores, catalogs or online. Gift Cards arrive via U.S. mail, while E-Gift Cards are emailed, making them a perfect last-minute gift. A gift of bonsai is a beautiful gift which increases in beauty and value as it mature over the years. Choose from a range that includes Flowering Bonsai, Outdoor Deciduous Bonsai and Indoor Bonsai. Gift-wrapped and hand-delivered with your special message - These guys do Champagne well. Literally every brand of French or California champagne and sparkling wine. Shop online for Cristal, Dom Perignon, Moet Chandon, Mumms, Perrier Jouet, Pol Roger, Veuve Clicquot, Domain Chandon, Korbel, Piper Heidseick and many many more. All else failed? Let us help. If you want to see more Gifts for Mom here, please e-mail gifts_mom@shopsafe.cc. Please do not change the subject line of your email. If the subject line does not contain "Add to ShopSafe Online Shopping" it will not be read.